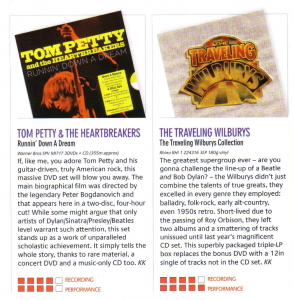 If, like me, you adore Tom Petty and his guitar-driven, truly American rock, this massive DVD set will blow you away. The main biographical film was directed by the legendary Peter Bogdanovich and that appears here in a two-disc, four-hour cut! While some might argue that only artists of Dylan/Sinatra/Presley/Beatles level warrant such attention, this set stands up as a work of unparalleled scholastic achievement. It simply tells the whole story, thanks to rare material, a concert DVD and a music-only CD too. The greatest supergroup ever -- are you gonna challenge the line-up of a Beatle and Bob Dylan? 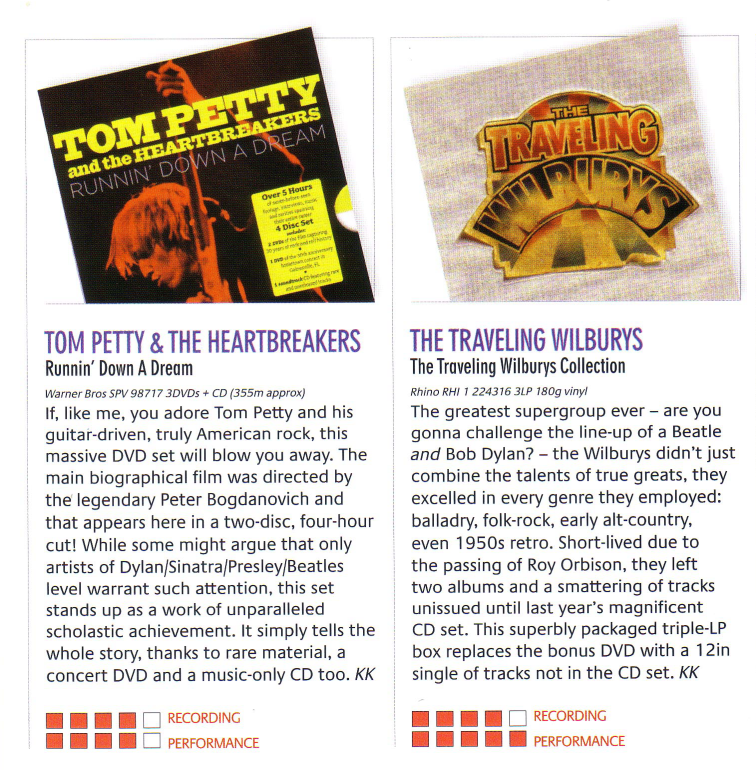 -- the Wilburys didn't just combine the talents of true greats, they excelled in every genre they employed: balladry, folk-rock, early alt-country, even 1950s retro. Short-lived due to the passing of Roy Orbison, they left two albums and a smattering of tracks unissued until last year's magnificent CD set. This superbly packaged triple-LP box replaces the bonus DVD with a 12in single of tracks not in the CD set.